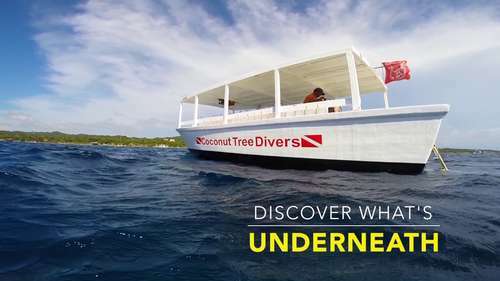 You are here: Home / Roatan Cruise Ship Scuba Diving / Already a certified diver? 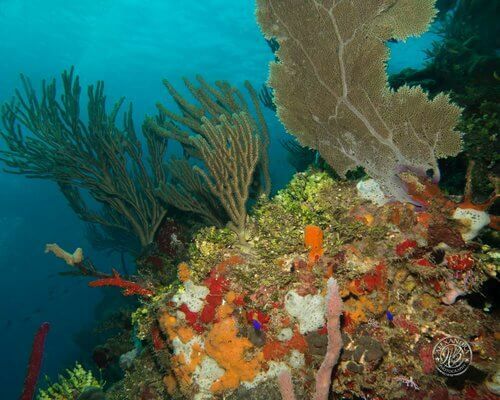 WITH OVER 80 INCREDIBLE DIVE SITES IN THE ROATAN MARINE PARK, YOU WILL NOT BE DISAPPOINTED! 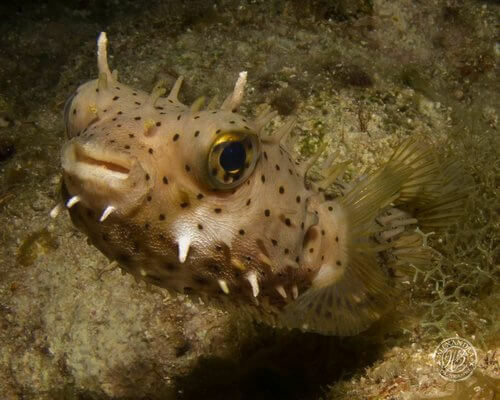 OUR EXPERIENCED INSTRUCTORS HAVE THOUSANDS OF DIVES ALL OVER THE REEF. Before sending an email asking Gay, Alex or Monty questions please read through the F.A.Q’s. 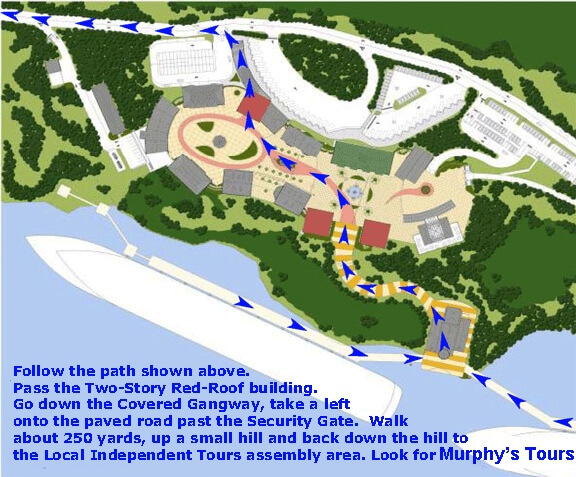 Or if you feel we missed a question please let us know and we will get it on the website for future customers. Thank you. Yes, it is $20 USD per person for your transportation to and from the ship. From Mahogany Bay its a 35 minute car ride, and from the Port of Roatan 15 minute ride. How Long Is The Ride To The Dive Center? From Mahogany Bay its a 35 minute car ride, and from the Port of Roatan 15 minute ride. What's The Best Method Of Payment? What’s The Best Method Of Payment? The best method of payment to the dive center and your tips is USD. Which Dive Site Will We Go To? 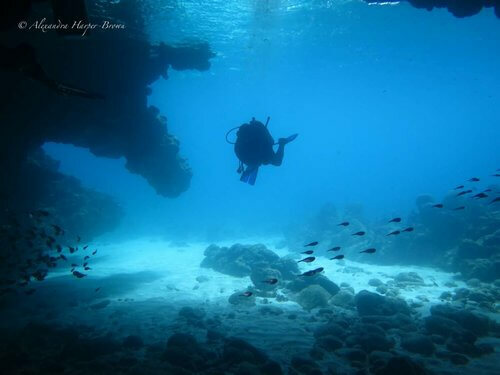 The dive sites are chosen based on daily weather conditions, currents and customer requests. How Deep And Long Will I Dive? 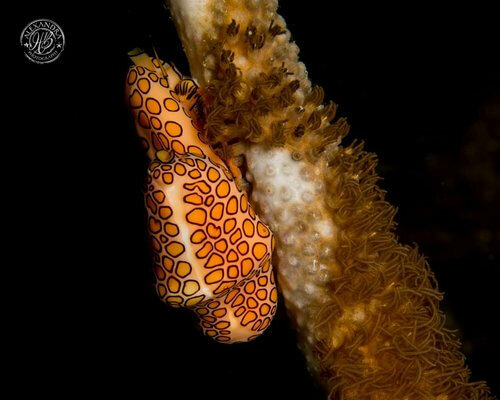 We will keep your dives to an average depth of 100ft / 30mt, you will be doing half the dive along the deep wall, ie 20-25min, and the other half in the coral gardens, ie 20-25min @ 25ft / 9mts. Time limit is 1 hour, or 700psi / 50 bar. We do have larger tanks for the heavier breathers. Yes, you are allowed to bring a camera along, we even have a nice big freshwater bucket for your camera gear on each of our boats. However we also would like that you can show good buoyancy skills whilst out on the dive. Is Your Ladder Difficult To Climb Up? No, as it was built for divers by a diver. It is a strong aluminum ladder that sits on a 40′ angle, having your first couple steps in the water and then walking up. The water temperature typically varies from 79f in winter to 84f in summer, we offer a variety of wetsuits from 3mm shorties to 5mm long suits and 3mm farmer johns. Yes we are the only shop in Half Moon Bay in West End that has a dock, making your scuba diving experience with us much more enjoyable. You don’t have to be the divers that hold their dry bags out of the water as you walk into the surf and awkwardly struggle to roll onto a panga boat. Why Should We Choose Your Shop? With many dive centers to choose from in West End it can be a difficult decision. We are proud to be the largest and one of the longest running shops in west end. Our big boats, dock and our highly trained instructors are the reason why we are chosen over the competition. 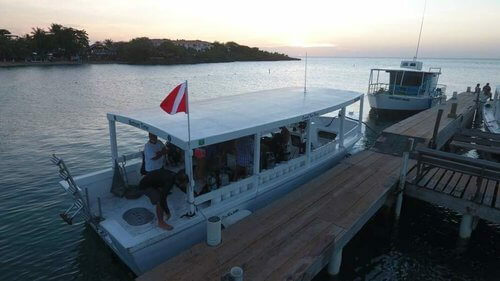 Our dive instructors here have combined over 35 years of experience. Do We Have Snacks On Board? Our dive boats have iced drinking water on board, if you do need a snack in between dives, it is very easy to pick up something from the mini-market next door or from the fruit stand across the road. You are also welcome to bring your own snacks on board. 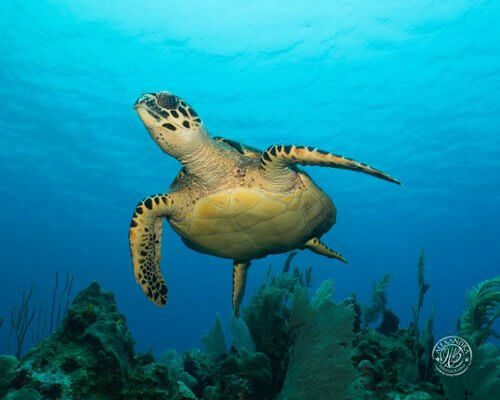 Roatan is famous for the amount of turtles we have year round. 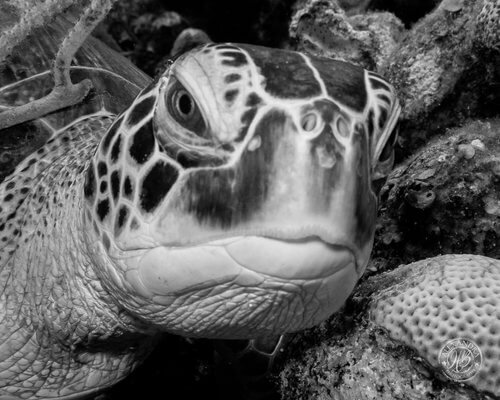 We see hawksbill and green turtles on most dives.